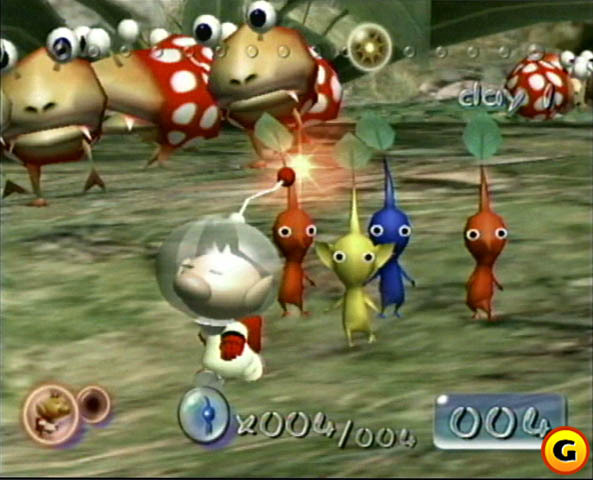 You start off as a tiny astronaut standed on an alien world, your goal is to retrieve the pieces of your spaceship, rebuild it and escape home.To achieve this you must enlist the help ok pikmin. 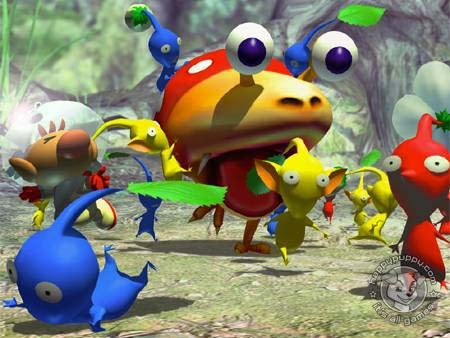 These are crazy little creatures that follow you every wilm. 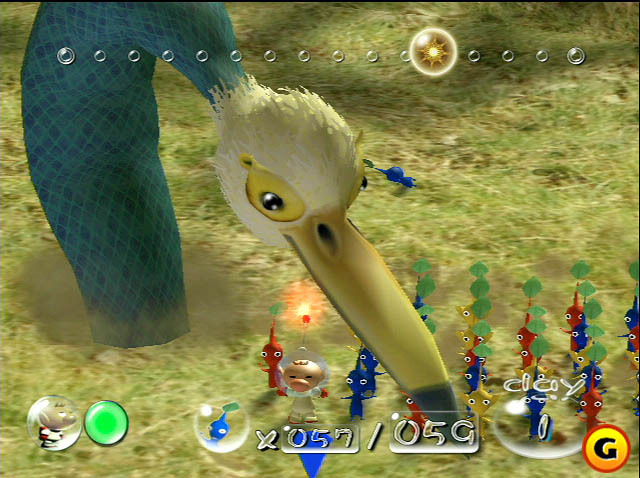 This game offers deep gameplay and is incredibly fun. 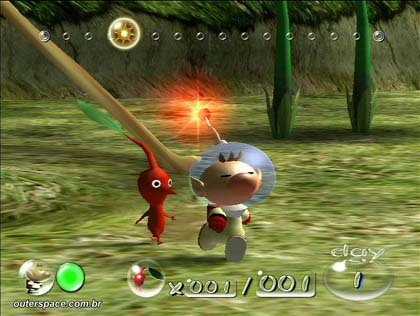 Another little pikmin bites the dust. These little guys are true warriors.